ManikaManila was founded in 2005 by doll owners Joey and Yapi. 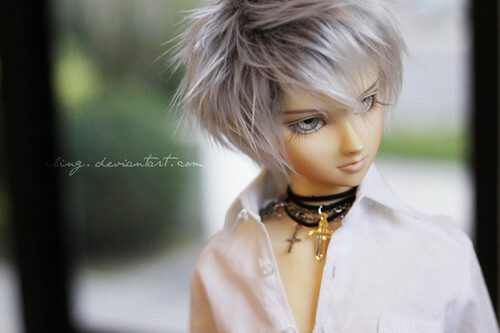 Joey’s doll, Uno, is the first Asian Ball-jointed Doll (ABJD or BJD) in the Philippines. The community was first created to fulfil Joey and Yapi’s dreams of seeing sculpts they had always wanted to see. ManikaManila had its first meet-up in May 2005 with the theme “Prom”. By the end of 2005, 15 BJD’s were listed in the Philippine BJD Census. The community grew steadily but surely. At the end of 2006, 40 dolls. By 2007, 69 dolls. 2008 was a milestone as 102 dolls made up the list. 2009 saw 147 dolls at the end of the year, and by 2010 there were 215. Meet-ups became more frequent as more and more members joined and more and more dolls were added. The result is a family away from home, always welcoming new members and always ready to share love for the Ball-jointed Doll hobby. We exist so that owners and enthusiasts have a place they can call their own. ManikaManila's main home. Join us here!